Theatre person and former Doordarshan news reader Sunit Tandon has one of the largest collections of western classical music CDs in Delhi. 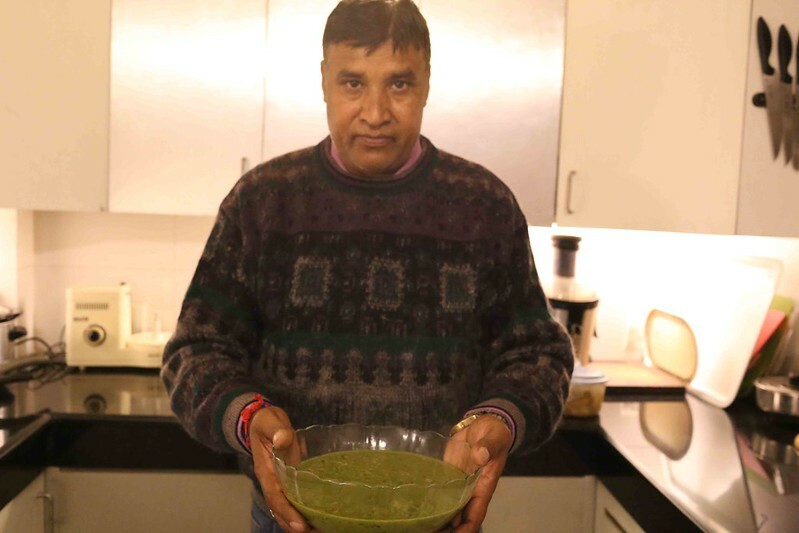 Not many know, until now, that he also has one of the city’s best home cooks specializing in the authentic cuisine of Uttar Pradesh (UP). 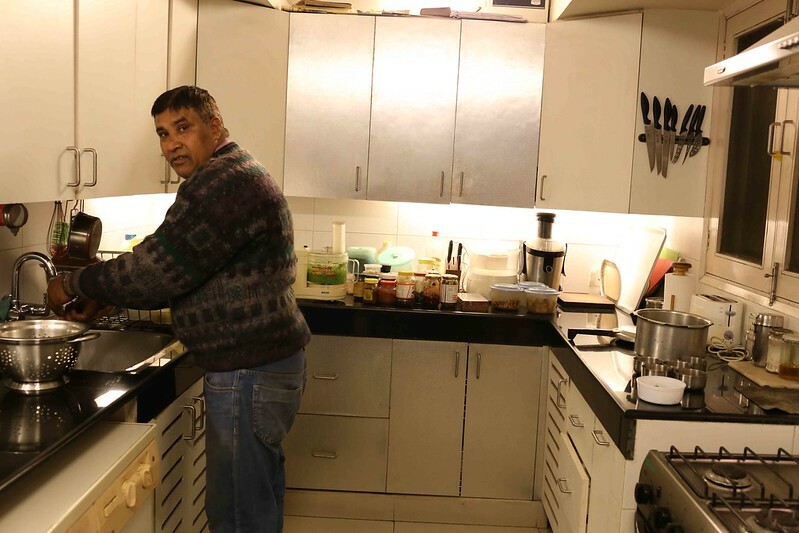 If you ever plan a theft in Mr Tandon’s apartment in Safdarjung Enclave, skip his CDs and books and even the beautiful drawing room piano. Just steal the quiet Surinder Kumar. 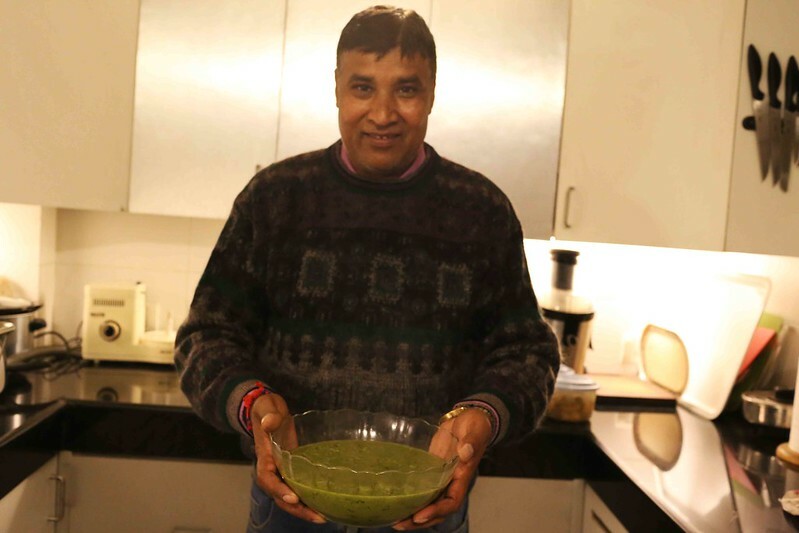 This gentleman will make you the city’s best UP-style arhar dal (with just that rumor-like hint of heeng). His sukhe aloo ki subzi is so delciously addictive you would like to have the whole thing to yourself, rather than share it with guests. 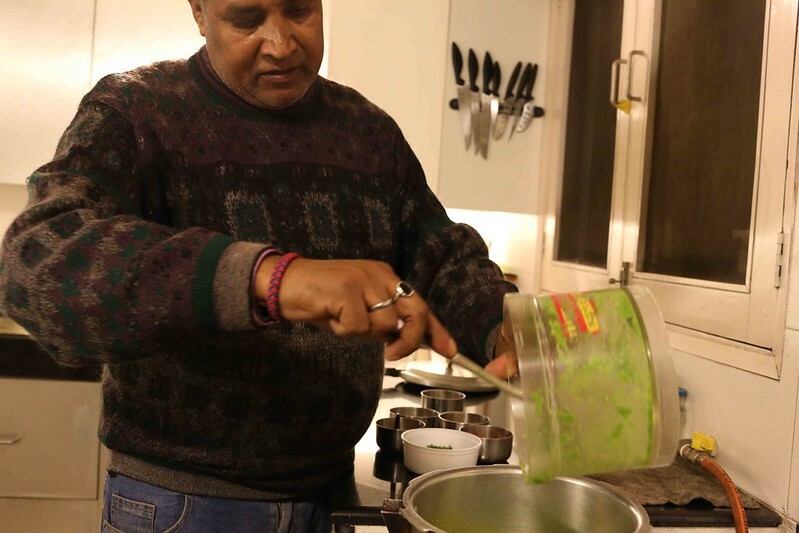 His dishes seem to carry the secrets of domestic cuisines of the Hindi heartland. 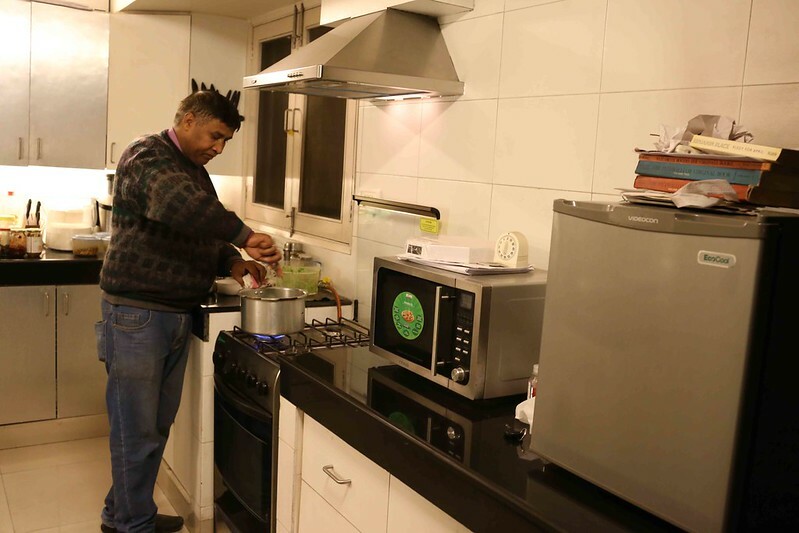 His dals and subzis evoke self-contained home kitchens that used to be run by matriarchal women in comradeship with their loyal family cooks. Indeed, the 60-something Mr Kumar trained under Mr Tandon’s grandmother Rajkumari in Lucknow. 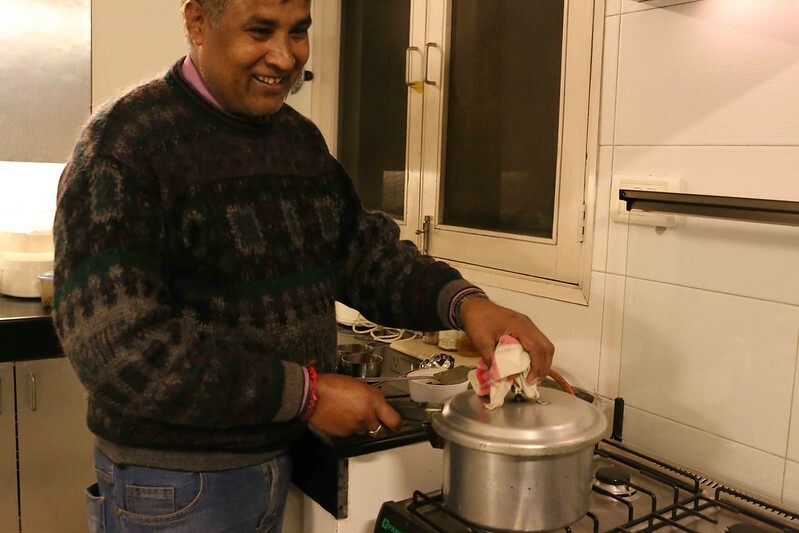 He arrived as a young man from a village in Faizabad to work with the Tandon family and has continued with them except for a few years in between when he opted to drive… trucks! 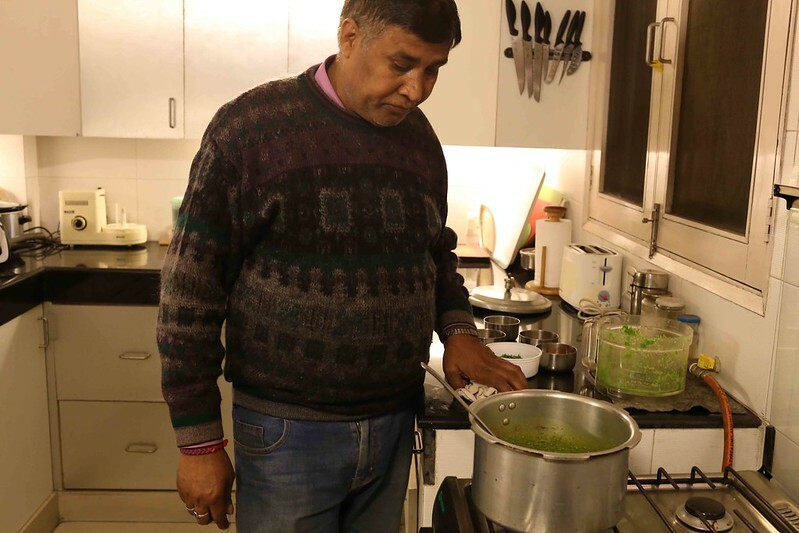 He also lived in the then West Germany for a few years when Mr Tandon’s father was working in Bonn in the 1970s — presumably so that the Tandons could always have their UP khana in the land of sauerkraut. 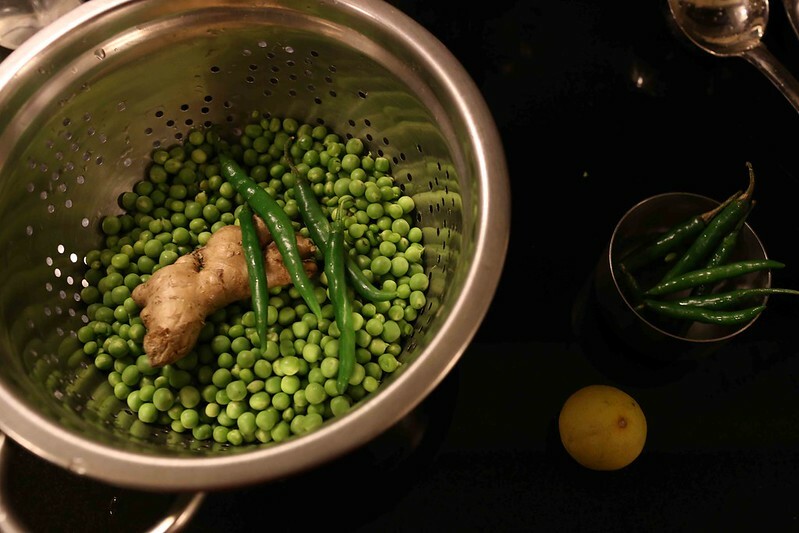 And today, Mr Kumar will make Matar Ki Daal, which in UP is also known as Nimona. 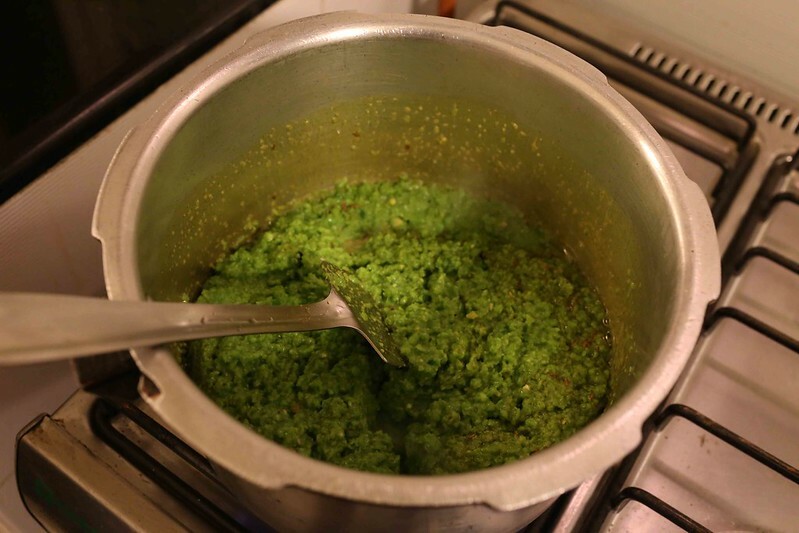 Mash the peas to a paste-like consistency in the electric mixer.Heat a cooker on low fire. 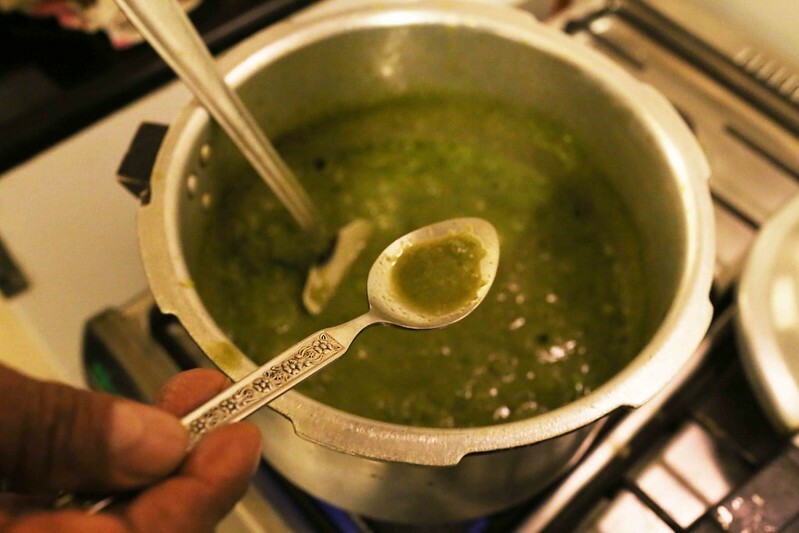 Add oil and let it warm, should take just a few seconds. Stir constantly as they crackle, and moments later add turmeric and heeng powder. Keep stirring for a few more moments. 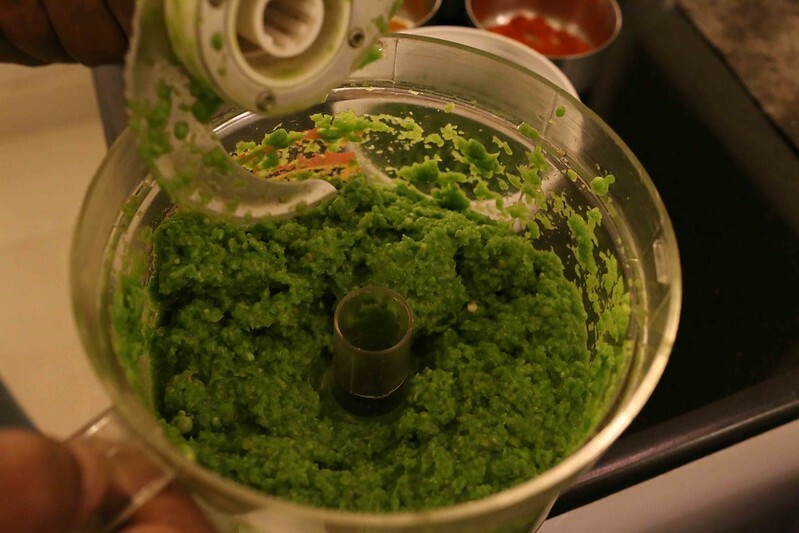 Now add the green pea mash. 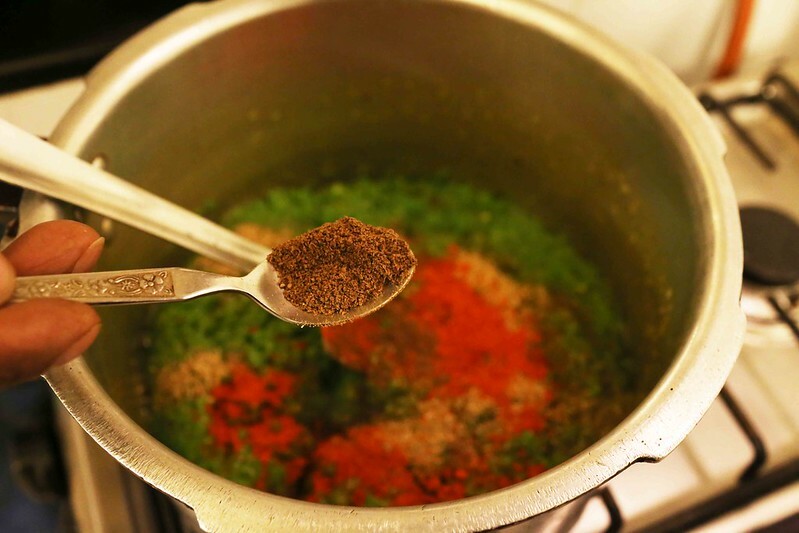 Add garama masala powder, red chilly powder, ginger paste into the mixture. Stir for about 10 minutes. 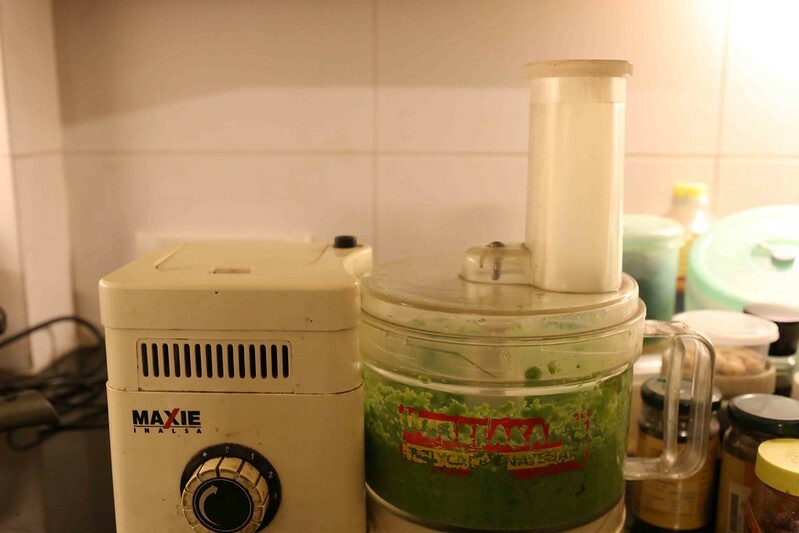 Now, gradually add water, and mix well. 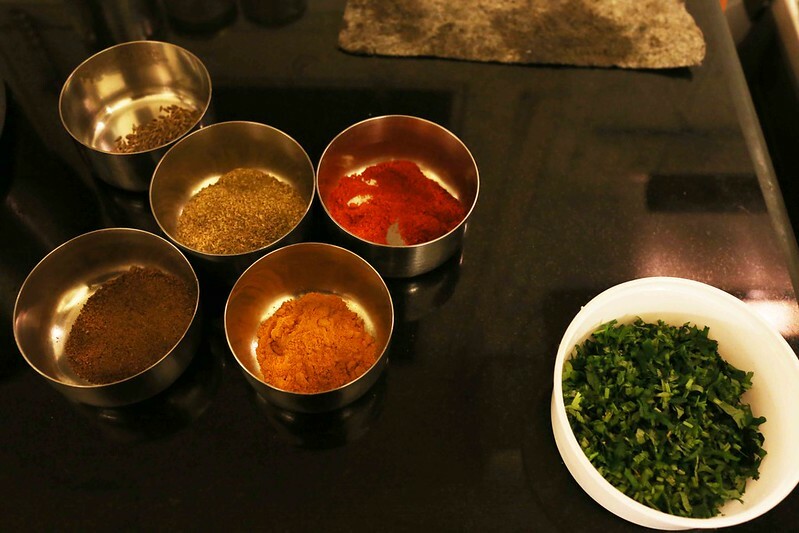 Cover the cooker with its lid and turn off the gas after a single ‘seeti’ (whistle). Open the cooker after a few minutes. 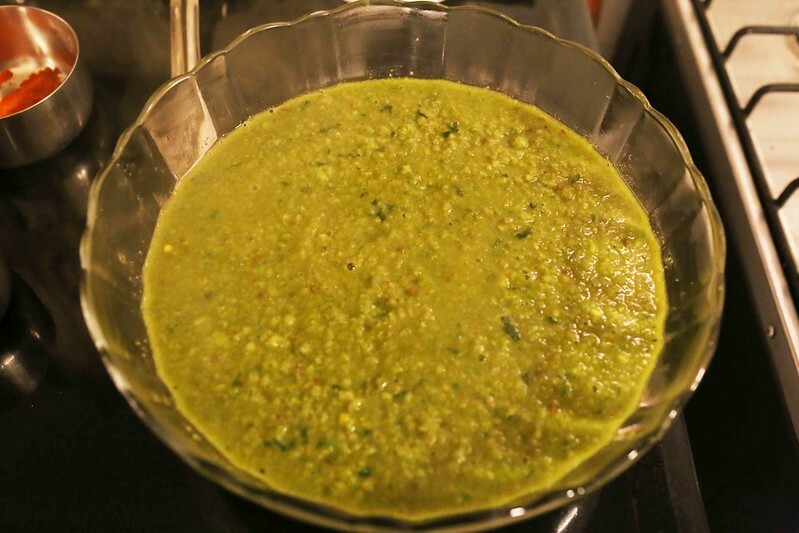 Add coriander leaves and fresh lemon juice just before serving.